Join Dr. Christina Wilke-Burbach and her female tribe of experienced healing facilitators for a dynamic and intensive day retreat focusing on energy healing! Relax, heal, rejuvenate, de-stress, and enjoy a buffet of healing services! Let us pamper you and take care of you on this powerful day of healing and transformation! About the event: May Day, also known as Beltane, marks the halfway point in the wheel of light between the Spring Equinox and Summer Solstice. Beltane celebrates spring, rejuvenation, renewal, growth, abundance, and the sacred feminine. Mother’s Day is also next weekend, so if you are a mom come by yourself for a day of peace and serenity or bring along your mother or daughter and celebrate Mother’s Day together in a unique way! This women’s wellness day retreat is open to all women and will facilitate your inner healing, rejuvenate you, revitalize you, and expose you to multiple forms of energy work and bodywork (including Chakra Energy Readings, Crystal Healing, Reiki, Acupuncture, Reflexology, Thai Yoga Massage, and CranialSacral Therapy). The day will begin with a 60-minute Opening Meditation. Each woman will then have an individual healing session with 6 different healing facilitators throughout the day. You will have access to 100 acres of the Kettle Moraine Forest and hiking trails, a labyrinth, medicine circle, and horse sanctuary. Lunch is included as well as snacks, beverages, special gifts and treats for each participant. The day will end with a Fire Ceremony and Closing Meditation!! This is an incredible healing experience! Join us!! 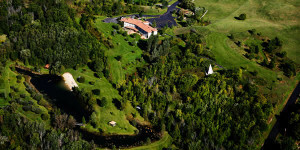 * Access to 100 acres of nature, medicine wheel, hiking trails, labyrinth, and much more! Healing and personal growth work can be intense and powerful: If possible, it is recommended that you stay in the area for the night after the retreat instead of driving back home. This way you can get a good night’s rest after the Day Retreat to help you integrate your experience. Dr. Christina will be available to help you process your day. In addition, Dr. Christina will help you integrate, center, and ground at the end of the day. The Day Retreat location, Cedar Valley, has 24 guest rooms (each with private bathrooms) and meal service (perfect if you are coming from out of town). If you would like to set up a guest room and stay overnight, please contact Cedar Valley directly: http://www.cedar-valley.org/ There are also hotels close by in the city of West Bend. There will also be a variety of holistic and healing products (herbal products, essential oils, aromatherapy products, natural perfumes, crystals, flower essences, jewelry, etc) available for sale. Please bring cash or check if you are interested in shopping. The Day Retreat will be held in the ‘Open Wings Arts Studio’ at Cedar Valley, a beautiful and serene 100 acre country get away nestled in the hills of the Kettle Moraine. Address is 5349 County Road D West Bend, WI. Location has an outdoor labyrinth, hiking trails, a horse sanctuary, a swimming pond, onsite lodging with 24 guest rooms (each with a private bathroom) and meal service (perfect if you are coming from out of town). There will be opportunities throughout the day to spend time outside in nature. If you would like to set up a guest room and stay overnight, please contact Cedar Valley directly: http://www.cedar-valley.org/ There are also hotels close by in the city of West Bend. What should I wear? The retreat is very laid back and relaxed. Please dress comfortably…..yoga pants, sweatpants, sweatshirts, etc. Who comes to these retreats? Women have attended our retreats ranging in age from 18 to 75. Women have come from Maryland, Minnesota, Delaware, North Dakota, South Dakota, Missouri, Iowa, Illinois, Indiana, and Wisconsin. Most of the women come by themselves and sometimes participants bring a friend or family member with them. Some of the reasons women decide to attend a retreat include: to get away and focus on themselves, to learn more about themselves, for relaxation and rejuvenation, to experience healing, to meet other like-minded women, and to learn and experience something new. Christina Wilke-Burbach PhD, RMT, CA. Christina Wilke-Burbach PhD, RMT, CA is a scholar, teacher, consultant, spiritual counselor, and holistic healing facilitator with 20 years of higher education and experience in psychology, spirituality, holistic healing, and natural health. She has a PhD in Health Psychology, Master’s Degree in Clinical Psychology, 2 bachelor degrees in psychology and anthropology, a minor in Sociology, and is trained in Transpersonal Psychology, having studied with Stan Grof MD, PhD the father of Transpersonal Psychology. She is a Certified Aromatherapist, Herbalist, Master Gardener, Reiki Master Teacher, Ordained Minister, Intuitive, and Bodyworker. She specializes in women’s holistic wellness, personal growth, spiritual psychology, and spiritual development. Christina is an expert in working with the Chakras. The Chakras are the foundation of her business. Christina is the creator and sole proprietor of the Women’s Chakra Retreats. She has designed and facilitated over 25 Chakra focused women’s retreats the past 7 years. She has presented everywhere from The Midwest and Beyond and has taught hundreds of classes and group sessions. She combines science with intuition. For more information please visit https://mindsoulandself.com/about-dr-christina-wilke-burbach/. All participants will receive a Chakra Energy Intuitive Reading session with Dr. Christina. The Chakras are the main energy centers in your subtle body. They are the openings for life energy to flow into and out of our aura or electromagnetic field. There are main Chakras, minor, subpersonal, and transpersonal chakras. The Chakras’ function is to vitalize the physical body and to bring about the development of our self-consciousness. 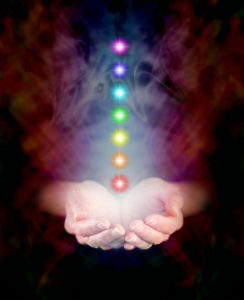 Each chakra is associated with certain physical, mental, emotional, and spiritual interactions. Low energy or slow energy in a chakra (or the entire system) can lead to disharmony, dis-ease, maladaptive patterns, low vibrating emotions, stress, and/or fatigue. Christina can identify your strongest chakras and the ones that need a little work. Receive insight into what may be contributing to problems and disrupting your energy flow, how you can reach your highest potential, and what you can do clear and return your life to balance. The most important part of the reading is discussing solutions and tips for you to achieve healing. Readings with Dr. Christina are unique as she uses them as a Spiritual Psychology, personal growth, and counseling tool. Service Providers and Services (All Services are Clothes On!!! Please wear comfortable clothing like yoga or sweatpants). Gina Roethle LMT is a licensed massage therapist, yoga teacher, wellness consultant, and mindful movement instructor based out of Milwaukee, WI. She draws her expertise from training and certifications in complementary health practices such as Thai massage, Yoga, Dance, Ayurveda, Reiki, Meditation, nutritional supplementation, and natural foods. All participants will receive a Thai Massage with Gina. Thai massage, often called yoga massage, is done on a mat on the ground. It is an incredible form of bodywork! The therapist uses her hands, knees, legs, and feet to move you into a series of yoga-like stretches and also applies deep muscle compression, joint mobilization, and acupressure. Thai massage also utilizes energy work, which, according to ancient Asian culture, treats the subtle energetic field within the body. It corrects blockages, deficiencies, and imbalances in the flow of this energy, which then is believed to improve the client’s health. Ann Fothergill LMT. Ann has been a registered hygienist for 34 years but her interest in holistic medicine has led her to massage, aromatherapy, and Reiki healing. She is certified in the clinical use of essential oils, is currently a member of NAHA (National Association of Holistic Aromatherapy), and is also a certified Reiki Master practitioner. For more info, please visit http://www.annabellesholistichealth.com/ All participants will receive a reflexology session with Ann. Reflexology is a form of bodywork that involves applying pressure to the hands and feet to produce changes in pain and other benefits elsewhere in the body. The underlying theory behind reflexology is that there are certain points or “reflex areas” on the feet and hands that are connected energetically to specific organs and body parts through energy channels in the body. By applying pressure to reflex areas, a reflexologist is said to remove energy blockages and promote health in the related body area. Katie Nack, Certified Crystal Healer: Katie is a certified crystal healer through HMCA and shop owner of Blue Lotus Crystals. She has started her reiki journey with Dr. Christina Wilke-Burbach in September 2018, adding to her calling of becoming a healer. She has also received training from Priestesses Of The Moon on Womb Mysteries & Lunar Wisdom and continues to search out knowledge in the energy healing realms. Everyone will have a Crystal Healing session with Katie. Stones and crystals are laid on the body in different patterns and forms to facilitate healing, energy cleansing, etc. Julie Young-Nahmens: Julie is a trained specialist in CranioSacral Therapy and SomatoEmotional Release through the Upledger Institute, Inc., based in Palm Beach Gardens, FL. She incorporates CranioSacral Therapy, SomatoEmotional Release, Reiki, and the use of Therapeutic Essential Oils to help clients find the root cause of their problem, release restrictions that cause pain and dysfunction and start the healing cycle. She is honored to assist people of all ages in healing the source of their pain, stress and trauma, and to help them live their lives with more awareness, balance and enthusiasm. Today she has a thriving CST practice for all ages in Adams WI. Everyone will have a CranioSacral Therapy (CST) session with Julie. CST is a gentle, hands-on approach that releases tensions deep in the body to relieve pain and dysfunction and improve whole-body health and performance. Using a soft touch – practitioners release restrictions in the soft tissues that surround the central nervous system. Soft-touch techniques are then used to release restrictions in any tissues influencing the craniosacral system. It is very relaxing and soothing. “Thank you for such a wonderful day! We really enjoyed it. Gave us both things to move towards and explore. Loved being able to explore the property too, that was beautiful. Thanks again Christina!” ~ Deb and Britt. Contact Christina at mindsoulandself@yahoo.com or 608.393.7353 with questions. Space is limited. Reserve early to guarantee your spot. This is a women’s wellness event celebrating women. Due to the schedule and intent of the event, registration is only open to women. Contact Christina for mailing address if you would like to pay by check or money order. Otherwise, please pay by credit card, debit card, or Paypal by using the Paypal cart below. A $200 deposit is required per person to reserve your spot. Payment in full is due by April 27, 2019. Contact Christina if you want to set up monthly payments. Please note, if you set up monthly payments, the retreat must be paid off in full by the actual retreat date, so please register early so you have ample time to pay off retreat. Financing is also available through PayPal Credit. To learn more about PayPal Credit, click on the banner below by the PayPal cart. If interested, please choose that option when using the Paypal cart. We have a strict cancellation policy as over 10 people are involved in the planning and execution of this event. If you need to cancel for any reason up to 8 days before the event, your payment minus a $100 administrative fee will be refunded. If you need to cancel for any reason 8 days or less before the event you understand all payments are non-refundable, non-transferable, and are forfeited. Please note, the itinerary and services are subject to change. Within 48 hours of registering, Christina will contact you to confirm. How did you find out about our Day Retreat? Do you have any mental health concerns, physical health concerns, other special needs or anything else you would like Dr. Christina to know so she can best accomodate you? You understand that this is a safe, harmonious, and peaceful setting. No weapons (guns, knives, pepper spray, etc) physical or verbal violence, or physical or verbal aggression is allowed or tolerated. If you disrupt the peace in anyway or disturb the group or act inappropriately, you will be asked to leave immediately with no refund. No exceptions. Please initial in box.